I have the “Timehop” App installed on my mobile phone and a post I wrote on Facebook a year ago today popped up this morning. Whilst I have anonymised, I wanted to share it with you all and to tell the parents out there that are fighting for their children…don’t ever give up. Keep fighting, keep putting one foot in front of the other, you are not alone. Have just had a really beautiful moment I wanted to share with you all. I live 10 minutes walk from the beach and the night my newborn baby was taken away from me I walked down there with my eldest child at 4am, me sobbing the whole way. Having just given birth a few days earlier, I had to stop many times to rest and eventually we got to the seafront and found a bench looking out to sea. That bench became a focal point for me and many days and nights were spent on there, looking out across the water and often watching the sun rise. I would tend to go out through the night because through the day I risked there being babies and small children about and I couldn’t bear it. Sometimes I needed to ring a friend to come and get me because the grief was so painfully raw. But I was always drawn back to that bench. Nine months on and with it being such a lovely night, I put my baby in the sling and went for a toddle before bed. We ended up on the seafront and at the bench. 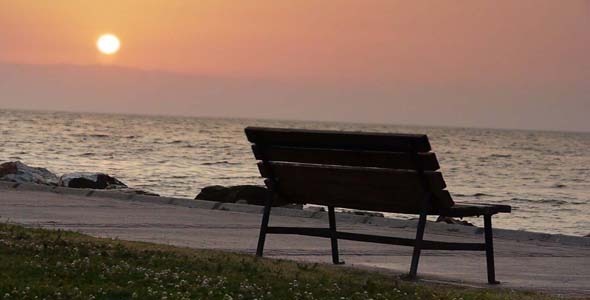 My little one had fallen asleep, the sun was that glorious orange before it sets, it was quiet, peaceful, the waves were lapping at the rocks – I sat on ‘the bench’, my baby cuddled into me, their head on my chest…it was everything I fought for. Everything.